Hey everyone! 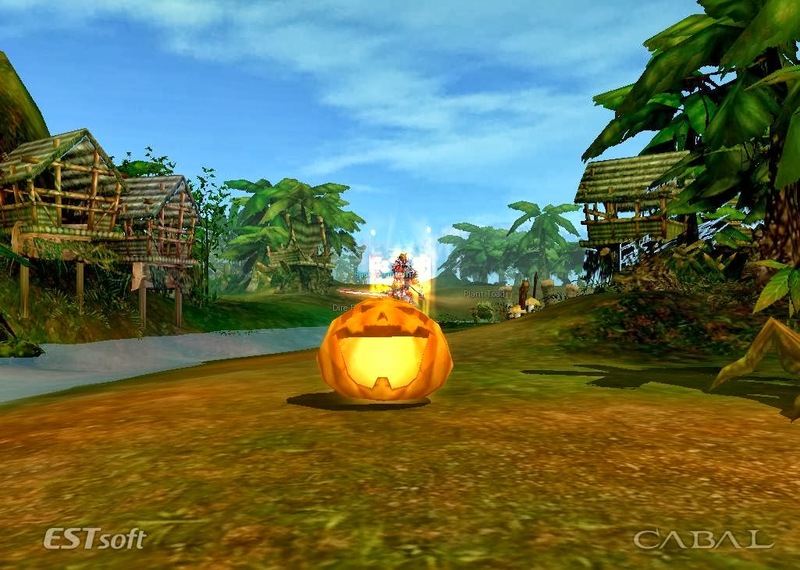 It's been a while how did you find the events of CABAL Online for Halloween? 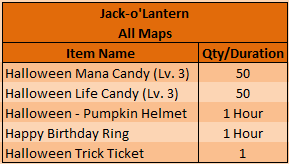 I have been playing the game when the server boost had started and now that the Halloween events have been added. 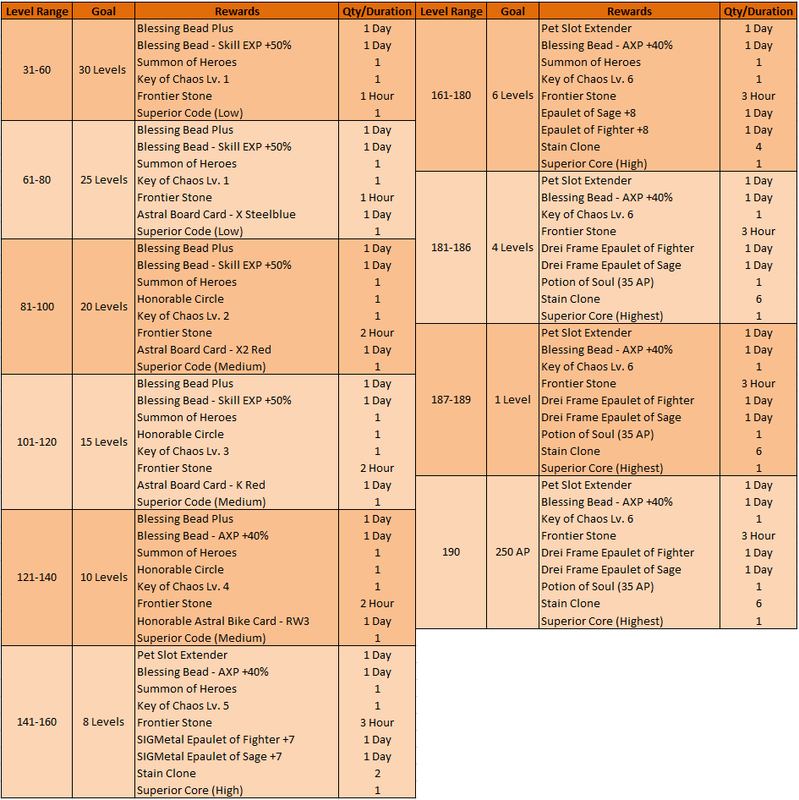 I found out some information regarding these events. 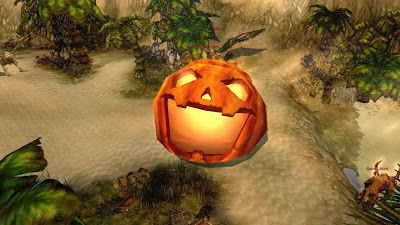 Jack-o'Lanterns are easily to find they respawn on random places in a map and are very tough by having high defense but they don't do much damage. 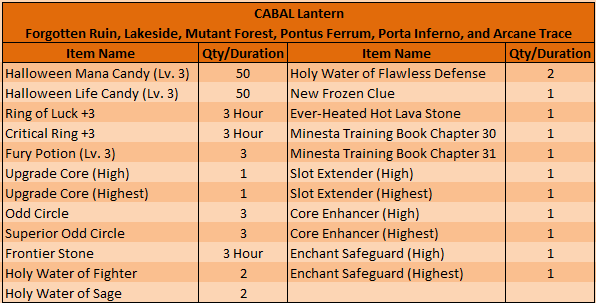 CABAL Lantern is like the pumpkin boss which much bigger and has some pumpkin minions surrounding it. I haven't spotted one yet since I think many players are hunting this monster. Note: The Halloween trick ticket seems doesn't have any value or not that important since it has a message "Better Luck Next Time". I only dish out this ticket since it's taking up space on my inventory. All you have to do is to talk to Event NPC Yul and check your level and received the rewards listed below. Remember, once you reached a certain level you need to collect those rewards because if ever your character level exceeds on one of the range you will no longer be able to collect the previous rewards. Well that's about it I hope I have given you some important information regarding the events. Also, server boost is still on-going you can easily achieve levels and receive rewards from the level rewards event. And if ever you still haven't know yet CABAL Online has been greenlit on Steam Greenlight and will be available on Steam soon. 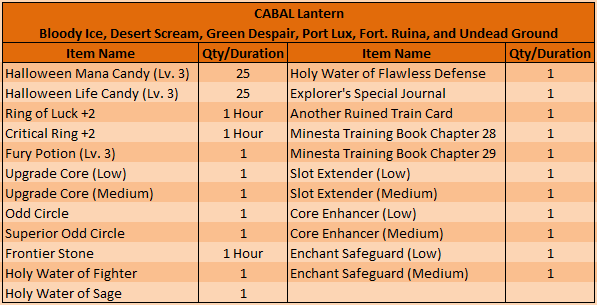 Have you spotted CABAL Lantern already? Comment below. CABAL Online has been Greenlit!